Renowned as one of the leading Bread Metal Detector Manufacturers, Suppliers and Exporters from Thane, Maharashtra, we are offering a benchmark quality in this product. For ensuring the absence of all kinds of ferrous, non-ferrous and stainless steel metal contaminants in cake, bread and all bakery items, use our highly sensitive Cake & Bread Metal Detector. The qualified engineers of our team have endowed Cake Bread Metal Detectors with Ip65 control panels and accurate audio and visual indication facility. We ensure safe and timely delivery of Cake Bread Metal Detectors. 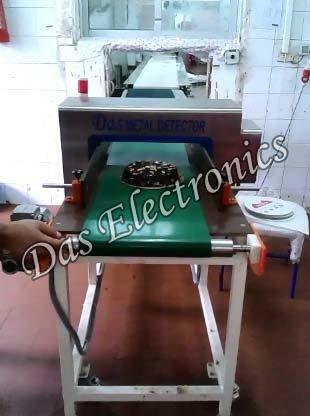 This efficiency has made us a preferred Cake Metal Detector Supplier in Thane.